The famous game about robots that walk along the field and collect coins, bonuses, and other improvements and put bombs exploding them. 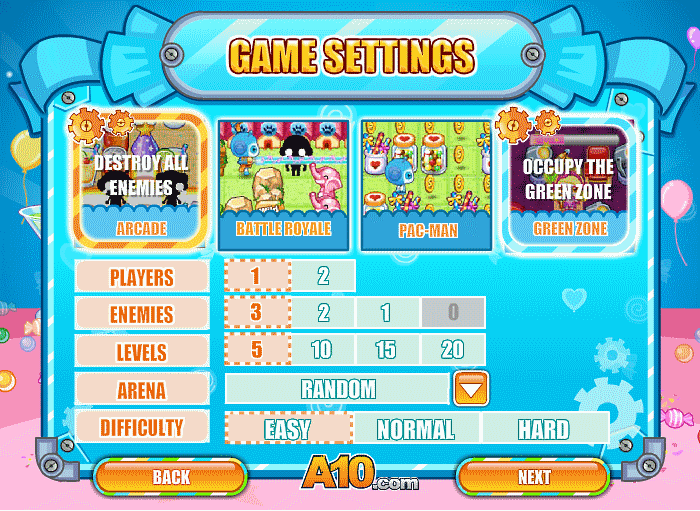 The game has four game modes. 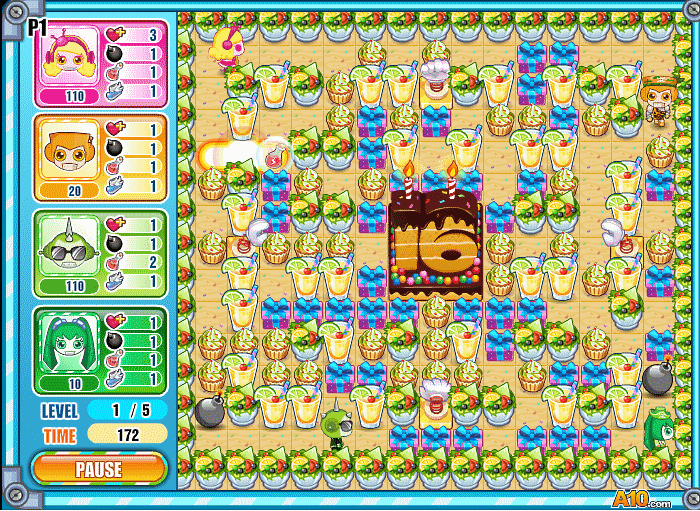 Destruction of all enemies, destroying 10 enemies collecting coins and playing with a green area that has to be taken. Controlling the robot: if you play on your own, move the robot with the arrow keys, and put the bomb pressing the spacebar. 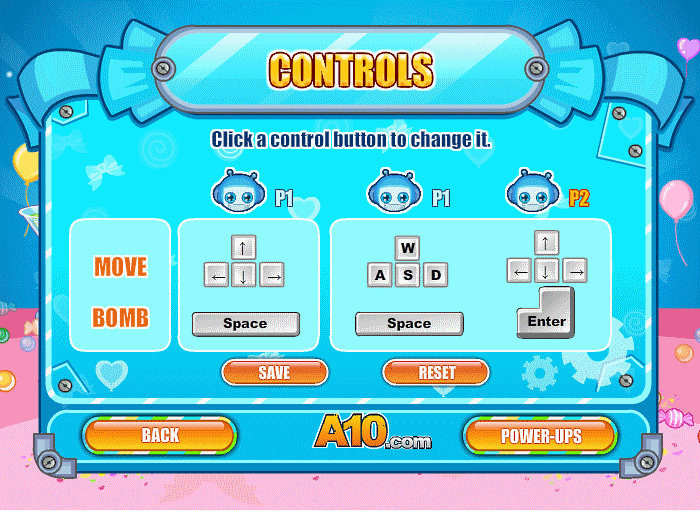 If you decide to choose two players mode, the first player presses the WASD and spacebar, and the second player presses the arrow keys and the Enter. To watch how to play again you can click on the "How to Play". Played: 36090. Added: 17-02-2013, 23:45. Bomb it 5 game. Press START GAME or HOW TO PLAY. 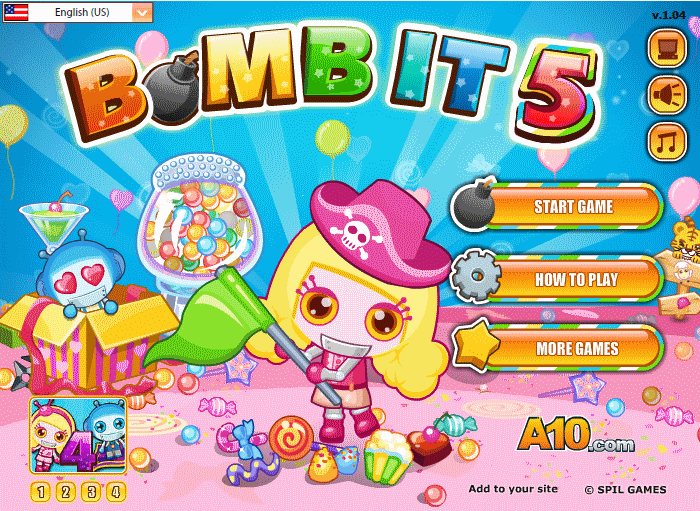 Collect coins, place bombs to destroy all enemies.